We successfully collaborate with scientists from various disciplines and countries. Elsa Sanchez-Garcia, Max-Planck-Institute of Coal Research (Mulheim an der Ruhr, Germany), Theoretical Chemistry (Homepage): Theory of substrate-recognition by polyketide synthases, in silico mutagenesis. Ada Yonath, Weizmann Institute of Science (Rehovot, Israel), Structural Biology Department (Homepage): Analysis of macrolide-ribosome interactions. 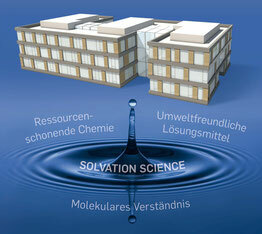 Simon Ebbinghaus, Ruhr-Universität Bochum, Physical Chemistry (Homepage): Characterization of Enzyme-Solvent Interactions. Gerhard Schembecker and Juliane Merz, TU Dortmund, Plant and Process Design (Homepage): Heterologous fermentation of terpenes, downstream processing. Lorena Betancor, Universidad ORT (Montevideo, Uruguay), Department of Protein Technology(Homepage / página principal): Immobilization of enzymes for biocatalytic cascade reactions. Other collaborations are in the start-up phase and will shortly be listed here.